It’s the time of year when friends, family and neighbors plan casual, last-minute get-togethers. And that means you might be asked to bring a dish to share. This can cause some anxiety: what will I bring? What if nobody likes it?Fear no more. We have some ideas that we guarantee will result in you taking home an empty plate or bowl and several requests for the recipe. And we’ve got you covered whether you’re asked to bring an appetizer, a salad or an entrée. Appetizer: Ever been to a potluck and more than one person brings the exact same appetizer? Maybe because it’s on trend. Maybe because it’s easy. Maybe because everyone gets stumped for new ideas. 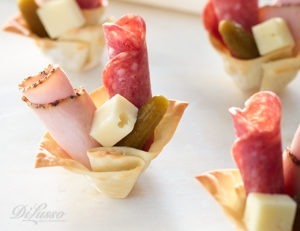 Make these Charcuterie Cups, and you’re sure to bring something unique that will draw oohs and aaahs from every guest. They look impressive, but they’re impressively easy, made with store-bought wonton wrappers and DI LUSSO® Cracked Black Pepper Turkey, Hard Salami and Baby Swiss. Salad: Don’t bring just any old potato salad. 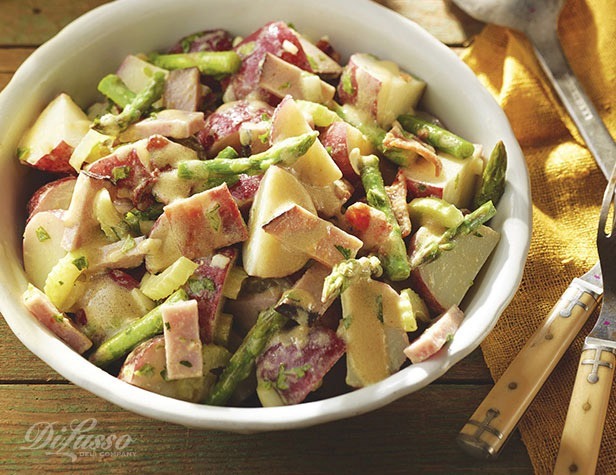 Bring our Irish Ham and Potato Salad, made extra special with the addition of DI LUSSO® Black Forest Ham and fresh asparagus. Entrée: Step away from the slow-cooker—your entrée contribution is going to be unlike anything you’ve ever taken to a potluck and certainly unlike anything anyone else brings! 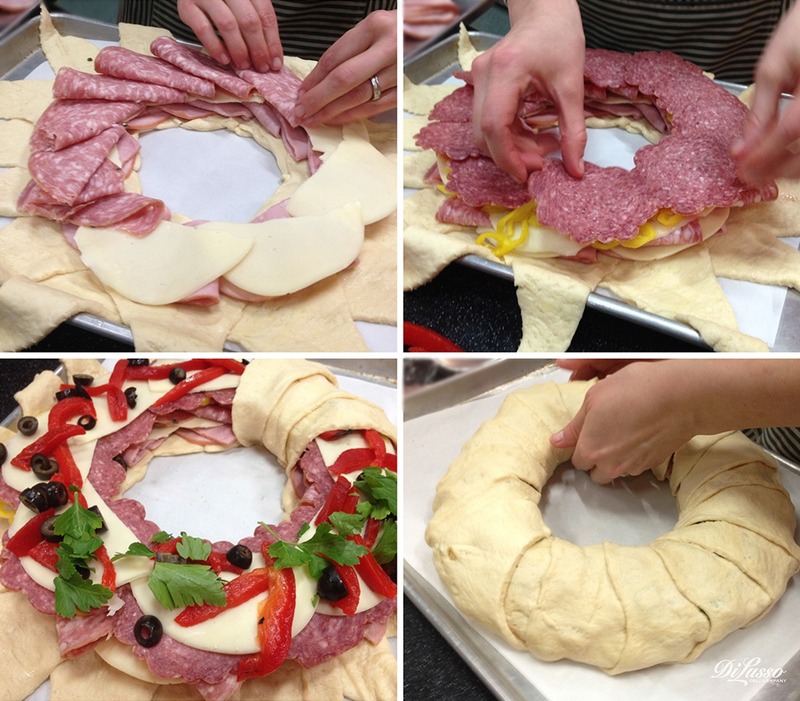 Show up with our Tuscan Stromboli Ring—flaky pastry filled with DI LUSSO® Ham, Hot Ham Capocollo, Hard Salami, Provolone, Roasted Red Pepper Strips and more. You’ll go home with a ton of compliments—but no leftovers! All three recipes are also highly recommended as dishes to pass around your very own dinner table.